China International Aviation & Aerospace Exhibition (namely Airshow China) is the only international aerospace trade show in China that is endorsed by the Chinese central government. The weeklong exhibition, which takes place every two years, is designed to parade China's latest military innovations. This year's aerial extravaganza had much to flaunt, from the fifth-generation stealth fighter to China's largest combat UAV, which is capable of targeted assaults that were once the exclusive preserve of American drones. 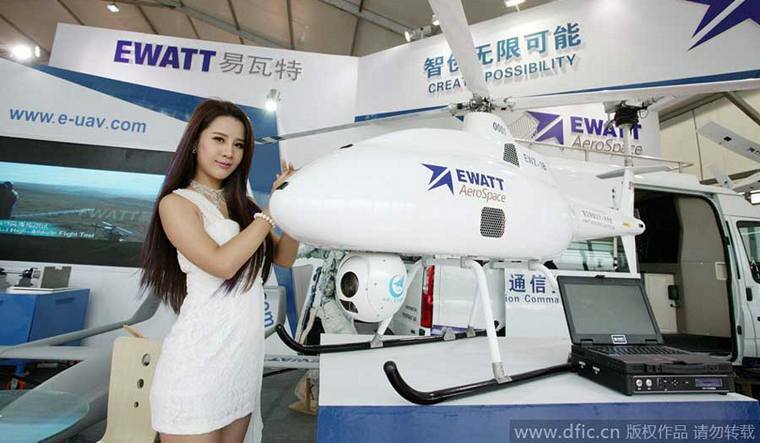 Various other domestic unmanned aerial vehicles (UAV) were also on display in the static park and exhibition halls. The show was opened by two Chengdu Aircraft Corporation (CAC) J-20 'fifth-generation' fighters one of which did a high speed fly past whilst the other did a vertical climb and short display before departing. 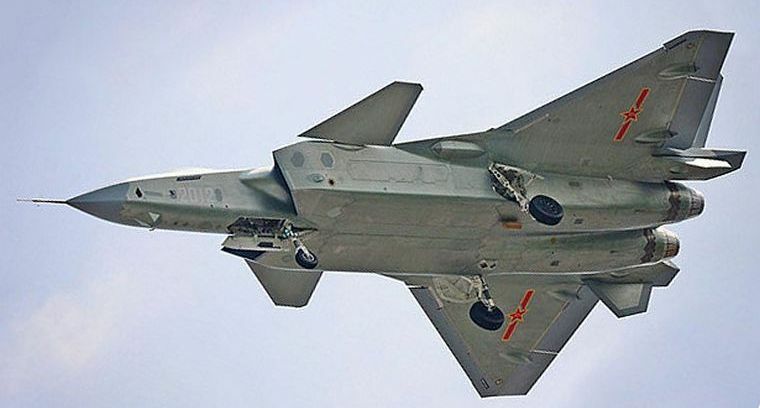 The Chengdu J-20 is a stealth, twinjet developed for the People's Liberation Army Air Force. The J-20 made its first flight on 11 January 2011, and is expected to be operational in 2018. The Cloud Shadow, made by AVIC Chengdu Aircraft Industrial Group, possesses a payload of 400 kg, cruising altitude of 14,000 m (i.e. 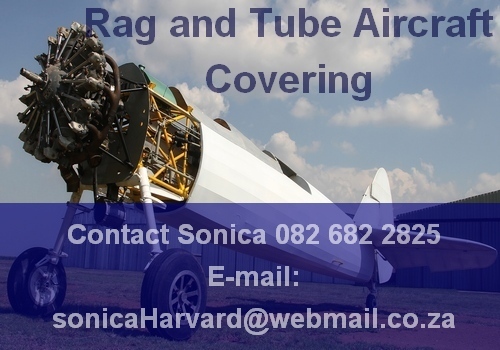 46,000 ft), a maximum speed of 620 km/h, and endurance of six hours. 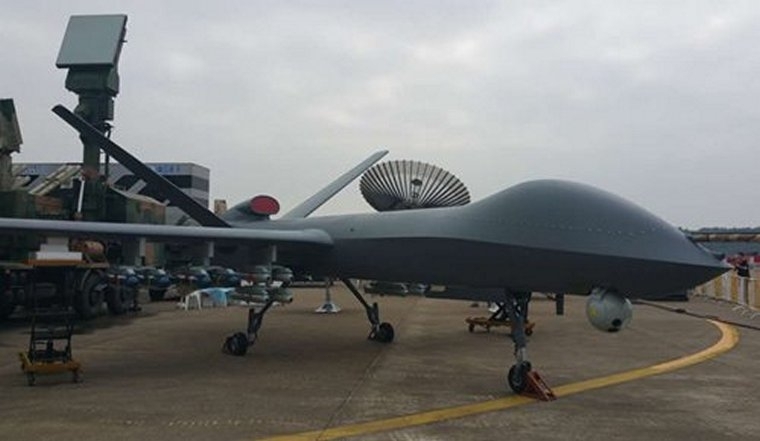 AVIC is offering the UAV with a standard line-of-sight radio connectivity suite, which offers a range of 290 km. The Cloud Shadow combat drone, a domestically manufactured unmanned aerial vehicle (UAV) that can stay in the air for up to 60 hours and carry 24 surface-to-air missiles. Over 40 countries and a total of 700 exhibitors took part in Airshow China in 2014. The Exhibition featured the display of real-size products, trade talks, technological exchange and flying displays. The China Aerospace Science and Technology Corporation (CASC), China Meteorological Administration (CMA), Zhuhai government, and several international corporations have signed a series of major purchase and cooperation agreements to the value of 100-billion RMB. The agreements include 30 projects covering Satellite Engineering cooperation, air defence weapons systems, Carrier Rockets, missile systems, and several other significant space technology and service products. 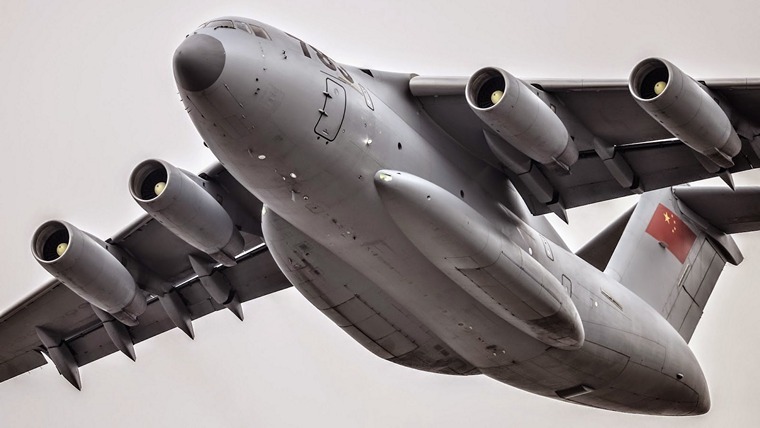 Flying into the southern Chinese city for the exhibition was the Y-20 military transporter, a Chinese-made aircraft that can take off while carrying 200 tons. 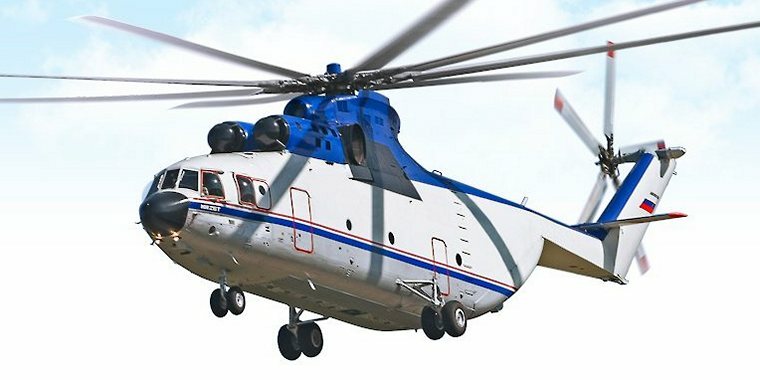 Russia's Helicopters demonstrated the Mi-26TS, modified to suit China's summer weather conditions. Mi-26TS is capable of transporting up to 20 tons of cargo. Bombardier brought its CS300 aircraft to Airshow China in Zhuhai for one reason only - to show potential Chinese customers that the aircraft is real and flying. The Commercial Aircraft Corporation of China (COMAC) announced during the exhibition that it has set up a joint venture with Russia's United Aircraft Corporation (UAC) as part of ambitious plans to jointly develop a wide body jet. The joint venture, to be based in Shanghai, will start operations in 2016. The jumbo jet represents the two countries' aim to compete in the wide body segment, currently controlled by Europe's Airbus Group and Boeing Co of the United States. 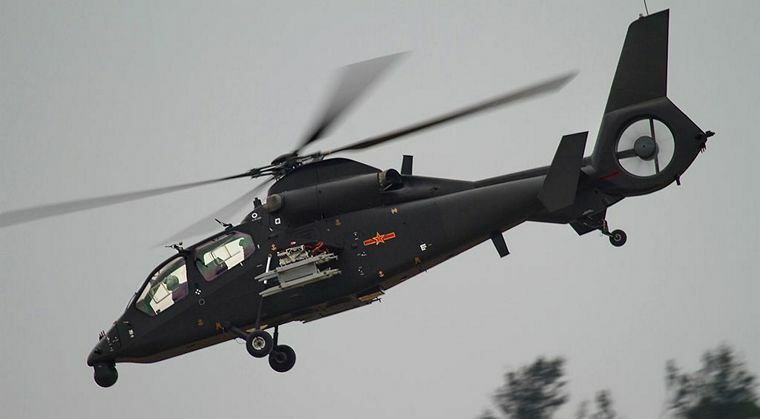 Also on display was the Harbin Aircraft Manufacturing Corporation (HAMC) Z-19E reconnaissance/attack helicopter developed by for the People's Liberation Army Air Force and the Ground Force Air Force. The Z-19 is an updated modified version of the Harbin Z-9W. It is a twin-seat tandem helicopter using commercial components from the Eurocopter AS365 Dauphin. On static display was the huge AG600, the world's largest amphibian aircraft. About the size of a Boeing 737 the Ag600 dwarfed everything around it and drew the crowds in their thousands. The aircraft has a maximum take-off weight of 53.5 t (53,500 kg; 118,000 lb) and a maximum range of over 5,000 km (3,100 mi) The AG600 has a wingspan of 38.8 metres (127 ft) and is be powered by four turboprop engines . The prototype was rolled out on 23 July 2016 at the Zhuhai AVIC factory. Jets of the, officially known as The Royal Air Force Aerobatic Team, the Red Arrows formed part of the line-up of military aerobatic teams that included the Russian Knights and China's own PLA Air Force's "August 1st" team. The Airbus A350 XWB test aircraft made its China debut touring the cities of Haikou (HAK), Beijing (PEK), Shanghai (SHA), Guangzhou (CAN) and Chengdu (CTU).. The eleven-day trip also includes static and flight displays at the China Airshow 2016. Featuring a distinctive "Carbon Fibre" signature livery to reflect its primary construction from advanced composite materials, the aircraft (MSN2) is one of Airbus' fleet of five A350-900 test aircraft and one of two with a fully functional cabin configuration (42 business class and 210 economy class seats). Guizhou Aviation Industry Import/Export Company (GAIEC) attended with a high level team lead by the CEO. The company exhibited its Guizhou JL-9, (also known as the FTC-2000 Mountain Eagle) two-seat fighter-trainer. The FTC-2000 started as a GAIEC private venture to develop an inexpensive trainer for fourth generation aircraft for the People's Liberation Army Air Force (PLAAF) and the People's Liberation Army Naval Air Force. China's Xiamen Airlines confirmed during the show that it has signed a memorandum of understanding (MOU) to buy up to 30 Boeing 737 MAX 200 aircraft for its aircraft for its low-cost units. The China Airshow reaffirmed China as a major role player in the technology sector. The product line up displayed was exceptional and prototypes displayed proofed that China will soon be well sufficient in all of its military and civilian asset needs.